There are no written records from this time so historians have built up a picture using archeological and linguistic evidence. From the Neolithic the British Isles were settled by mainly Germanic, Gaulish and Iberian tribes migrating from mainland Europe. Today these people are collectively known as the Celts or Britons. It is though that by the time the Romans came in 43AD the population was between 3 and 4 million. The oldest name for Great Britain is Albion. After the Romans invaded in 43AD over the next four centuries they established the province of Britania. Although there must have been some integration by 410AD most had left to defend what remained of their now declining empire. What is now known as England was settled from the 5th Century by Germanic & Nordic tribes from Angeln, Jutland and Saxony. It would seem most of the population of 5th & 6th Century Angeln just upped sticks and migrated to England. Although there were a few battles in general they integrated with the indigenous Celts and Britons over the next few centuries culminating in a unified England in the 9th Century. This is attributed to Alfred the Great but the first King to have direct rule over what is now England was his grandson Athelstan. 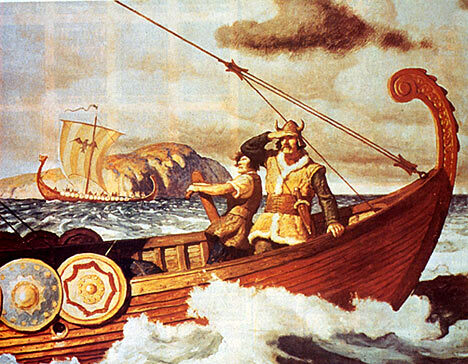 From the late 8th Century to the middle of the 11th Century there were many raids from Nordic tribes known as the Vikings, particularly in Northern England. 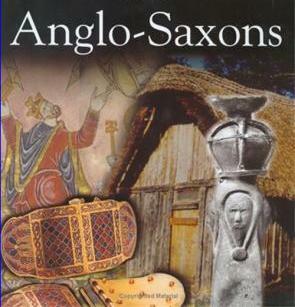 Many of these people stayed and integrated into the melting pot of Celts and Anglo Saxons. 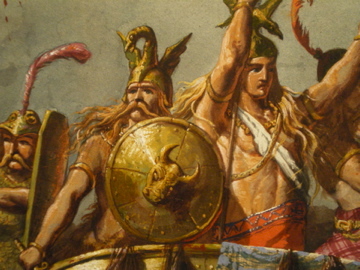 The Normans (North Men) were basically Vikings who had conquered and settled what is now known as Normandy in France. 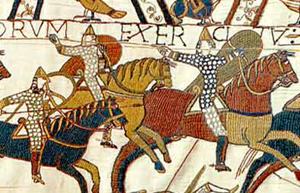 In 1066 William the conquerer defeated King Harold at the battle of hastings. There are schools of thought that William had as much claim to the English throne as Harold anyway. Following the Norman conquest there were no invasions or any significant immigration for 900 years until the latter half of the 20th century. Since the second world war there has been significant migration from former colonies, Africa, the Indian sub-continent, Eastern Europe and China. These ethnic groups now make up around 10% of the population. Regarding the other 90% the general rule is the further west you go the more Celt genes you are likely to have. 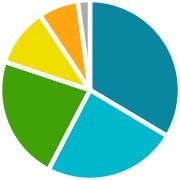 Everyone has a unique DNA profile so genetically there is no such thing as 100% English. However in a programme of the same name the largest sample of DNA profiling was done for white people who knew that all four grandparents were born in England. The results would seem to fit nicely with the history. The genetic profiling found that the eastern third of the country is 60% Anglo Saxon 40% Celt, the middle third 50/50 and the western third 60% Celt 40% Anglo Saxon. My fiancee and daughter/fiance bought me a DNA test for my birthday. My four grandparents names are Marsden, Fearnley, Marsh and Harris which are all of Anglo Saxon origin well established for centuries in the Yorkshire region. My DNA is 100% Western European. Not surprised about the mix of Anglo Saxon , Viking and Celt , but not sure where the 11% Iberian comes from but maybe that's why I get a good tan ! Finally being English is not about genetics but what you feel in your heart !